Watch white beads change to bright colors when taken outside the building! When returned they turn back to white. What causes the change? Humidity? Temperature? Fresh air? Birds flying overhead? The beads contain pigments which react with ultraviolet light from the sun, even on a cloudy day. They also change with most classroom UV light sources. Students can make their own UV light detecting bracelet by stringing the beads on a pipe stem or on a strip of rawhide. Great for teaching UV awareness! Use the beads to test the UV blocking effectiveness of sunblock, sunglasses, windows, etc. Lesson activities are included. Available in six colors, all beads are pale, off-white in the absence of UV light. The ultraviolet beads will cycle back and forth (to bright colors and back again) over 50,000 times! Approximately 250 beads per package. Looking for individual colors? Click here. How many bracelets? How much rawhide? UV-AST 250 beads - 25 bracelets - 25' = nine yards of UV-RAW. NIVEA Sun Art (ENG.) from Isobar Brasil on Vimeo. Used them for our libraries summer program. Easy way to introduce science to young kids. We made bookmarks and strung the beads on them. Excellent for my fourth and fifth graders who are studying alternative energy and solar system. I used these UV beads with 5th graders as a teacher volunteer! The kids made bracelets. It was an overcast day about to rain! When the kids walked outside the beads changed instantly! It was glorious to hear the sequels and excitement out of these kids! It was glorious to see this reaction!! Thanks for a great product that is affordable!!! We've used a lot of UV beads, and these are the brightest. It's great to have the full rainbow of colors available, and they're brighter than most. They're also more expensive than the ones we usually get, but for times where quality matters, I'd reorder these in a heartbeat. Great product! The beads behave just as advertised. Great for showing the presence of UV rays. I created a 5 station activity where students rolled a die to see what happened to their oxygen molecule. The mixed bag comes with 5 colors, of which I pre-separated. Kids did it with window blinds down and gained a bead from each station (one stations was Ozone) to make a keychain. We then went outside to see the results! Fun Lab! AMAZING! My daughter has an autoimmune disease that has UV rays as the trigger. She wears a bracelet and I made a keychain to help us see when the rays are evident! Great product! I used them with kindergarten to explain the importance of sunscreen. The experiment the students designed with only a little help allowed them to "do science" by testing a variety of sunscreens. Awesome introduction to scientific method. These beads are very bright in full sun and sensitive to lower levels of UV as well. I used them in a sunscreen testing experiment with my ninth grade biology students. They work very well. The ultra violet beads are a great hit for our sun safety sessions during Safety Day each spring. The children, K-5, love threading them on pipe cleaners and wear as bracelets to remind them to protect themselves against the dangerous rays of the sun. Both children and adults loved the beads. We used them to help explain when to wear sunscreen and how the chemicals in sunscreen protect our skin from burning. Great product, and great company to work with. These beads are great. The children liked the fact that they would change color when worn outside of the museum. We were able to relate them to the sample rocks in the Geology Hall. Students can learn about observation vs inference, writing a good hypothesis, designing an experiment, experimental controls- you name it - these work for it all! These have so many uses for a variety of ages. Right on.The right stuff arrived arrived in shortest time as promised. Kids are Fascinated by the UV Beads and their reaction to sunlight. They are great get acquainted tools for kids in cabins as they string each bead on a cord, they share something about themselves...In STEM they are sensors or indicators of something that we can't see, UV rays and for sun safety they let kids know that even in the shade, you may need Sun Screen for safety. I have been using these for years for my curriculum both for schools and camps. Great way to teach about the sun and UV. Working with 2nd graders on sun safety and star activities, the UV Beads made great impression. Quickly demonstrating UV radiation detection in a simple manner and using different levels of SPF lotions for testing. The process of ordering and receiving was simple. The delivery was quick and efficient. Ordering from New Zealand does significantly raise the cost of single purchases but I intend to order again due to the limited availability of many science related resources here. Excellent teaching tools and great souvenir for students of all ages. I even like the little tags with the beads that I get at Science meetings. also helps explain which light sources also have UV waves. Since we can't see the UV waves, we just need something that reacts to the presence of UV.....mimics many physics experiments. The UV detection beads are the most amazing things for teaching children to be sun smart. In New Zealand where there is a high incidence of Melanoma the beads are a visual reminder for the children to use sunscreen and wear a hat. Great science project for kids - beads change color under UV light. The kids loved the product which brought the skill to life. I got the white beads to use for fourth grade experiment to extend learning about light waves. The students came up with a variety of ways to check what decreased uv absorption. They loved the changing colors, bartered for changing beads with other students, and then took their beads home to teach their parents about uv Rays. I give packets of beads with rainbow string to children of the world. Beads are universally appreciated, use sun power, serve as uv detectors, and are fun! While these are more expensive than other brands, they are definitely worth the price. They start changing color instantly and the UV coating lasts for many years. The beads turn color quickly in sunlight and with the right UV light! Great demonstration for showing the importance of photochemistry. I downloaded a data table to use from NASA to "test" the beads in different situations. Was very effective lesson. Kids made bracelets and put them in water, in a car, behind sunglasses, etc. UV Beads Serve the Purpose! The UV beads that we ordered are great! They have made great UV bracelets for our education project on UV rays and protecting your eyes. These work better than expected. Nice way to combine science with bling for my six-year-old daughter and her friends. I have used these beads for a lab on SPF, UV exposure, Ozone depletion, and Incidence of Skin Cancer. My students totally enjoy this activity. They also make their own "SPF" bead bracelets to evaluate their own exposure/risk. We always receive excellent customer service and quality science products. Great communication from staff when there is a question or concern! The UV beads are a fun, easy and inexpensive way to explain UV light and how the eye "sees" light in classes from middle school all the way through college. I ordered the assorted beads and the bag had a blue paper that said assorted as well. To my disappointment and my students' disappointment, they were mostly pink. I have ordered these beads from your company for years and this has never happened before. Owner Response: We're sorry you had so many of one color of beads. We try to include approximately the same number of each color in each bag. We will be sending you a replacement bag today. These beads are a hit in Kansas! Love these beads. So do the kids. UV beads, FUN for all ages!! These UV sensitive pony beads are FANTASTIC!! I had ordered them for a bracelet making project with our local elementary school, and we alternated the UV beads with solid colored beads to create patterns. In the sunshine, however, their creations take on a character all their own! These beads return their "milky white" color when shielded from UV rays, and are an absolute delight!! Educational Innovations shipped very quickly! I have nothing but praise for the supplier and materials! We WILL be ordering again. We use our UV beads to make bracelets at Fun in the Sun Day events for our preschoolers....love them! I love the price and quantity that I get when I order your UV beads. I teach in middle school so I like that I can provide an overall educational experience without the cost being ridiculous. UV beads are a wonderful tool to teach children about the sun's rays. This is a great activity for small or large groups. Both younger students and older students enjoy this activity. The product was shipped quickly and arrived in perfect condition. Perfect example to show children with these beads. Inexpensive and they LOVE it! The beads change color very quickly into pink, orange, yellow, blue and purple when exposed to sunlight. On cloudy days, the color changes slower. When not exposed to UV light, the beads are opaque white. I regularly use these in teaching about observation and inference. Ordering and delivery were easy and efficient! Unfortunately, I did not receive the beads in time because they were shipped to someone else. However, customer service was AMAZING. They reimbursed my shipping charges; overnighted the beads and gave me a GC. Can't believe how quickly my order arrived! I put them on my car seat to take them into work and could see the colors, bright and easy to distinguish. Cool!! These UV detecting beads are not only a hit with the kids I bought them for, but with my adult friends too! I may have to buy more now, since everyone wants to take a handful home. The beads arrived promptly and were used as a VBS craft. The kids really enjoyed their "color change" bracelets, and got a bonus lesson on using sunscreen. Great beads. Used them at Girl Scout camp and they were a hit!! been buying UV-beads since before 1994! These are amazing beads that students (and grown-ups) love and get so excited about! Questions are asked and all sorts of answers are formulated by inquiring minds! Although, I can buy them at many more places now... I always return to Educational Innovations for my beads !!! Awesome product. My daughter loves these. It's amazing how they start white and how brightly colored they become in the sun. Now she knows a bit about UV light. These are really neat! Your students or kids will love them!!! Arrived quickly in great condition and they work very well. I learned about these beads from an EPA presentation on sun safety, and plan to use them in my community teaching children's groups about sun protection. Great visual tool! Used beads for a Farm Safety Day Sun Safety session. Youth were amazed at how fast the beads turned when they went out of the building. My students were thrilled with experimenting with the UV beads as part of our Grade 6 Earth and Space unit. I would definitely purchase again. I am UV allergic and must limit sun exposure. These beads let me test my house and car windows for a fraction of the cost of a UV meter. I wear them always and keep two small pack in my purse (one to expose and one to compare). They confirmed my worry about restaurant window seats. The big surprise was how much UV there is in shade. I am very satisfied, only wish budget were larger so I could give some to all the school classes. They work as advertised and the kids love them. I used this one with 4 to 5 old kids and they were really happy with this. Finally, I had to stop them running outside and back to see color changing in order to move to next progrm. Our Girl Scouts have enjoyed using the beads at camp this week. Along with the 25-yard bulk rawhide spool, I was able to supply students (late high school, early college age) with 10 beads and about 15" of rawhide to make their own UV-sensitve bracelets. Students loved making the bracelets and wearing them while working outdoors on a community service project. They are a great way to reinforce the need for sunscreen and drive home concern about UV exposure. 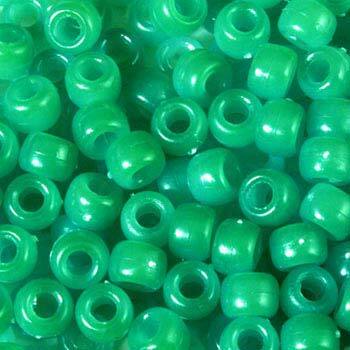 These beads are a good value because of their reasonable cost. They are mixed colors, and for best use should be supplied to students after their colors are revealed under a black light. The beads worked as advertised. Our friends became very interested in using them. I used these uv beads for girls in 6th-8th grade at a Girl Scout Day Camp as we worked on a Sun Safety Patch. They were great and the girls absolutely loved how they worked! I would recommend this product for science experiments having to do with uv rays. Wonderful to make bracelets when used with rawhide, string, etc...Helps to illustrate the presence of ultraviolet radiation and the possible effects to humans for any age group. Highly recommend! Great, fun product. Used on lanyard strings and pipe cleaners with my 6 and 3 year old. We plan to take to the beach for a fun, practical beach craft that doubles as sun safety and can be gifted to the rest of the family. This is an even assortment of 5 colors (pink, orange, yellow, blue and purple). Colors change within seconds, take a little longer to fade back to white. These beads are great for teaching kids about UV rays and exposure to skin; they're also really cool! The page of suggestions for how to use them and ideas for experiments - testing sunscreen on beads! - was very useful. These are the perfect fit for our health-based camp when talking about staying safe in the sun. We'll be back for more next summer! Except for the shipping, the price and the product was excellent. I really wish the shipping were less expensive for small amounts . It is the only thing that would keep me from buying from you again. The UV beads were a hit at science day. Thanks for the quick delivery. Great bulk buy, brilliant for making 'SunSmart' bracelets. These beads are great for both exploration with the scientific method and for learning about UV light. These beads are a great way to demonstrate how sunblock blocks UV light. When exposed to natural or artificial UV light beads covered with sunblock remain white while those without sunblock turn vibrant colors. After the demonstration/experiment the beads can be added to a bracelet, necklace, or shoelace to inform the wearer when they are being zapped with UV light are in need of sunscreen. I worked at a summercamp where these were warn by campers for fashion and safety. I have used UV beads for years in my classroom as a way of showing something you can't always see- UV light! They are a great way to introduce a unit on solar energy and also a fantastic material to use in simple experiments where you are asking students to isolate one variable. They are also one of the few materials I would use with any grade! I use these with my preschool classes at the start of the year to emphasize the importance of sunscreen. Each child makes a bracelet and we cover a test bracelet in sunscreen. The pink ones especially drive home the point! We use these every summer to make UV Detecting bracelets for camp kids so they have a constant reminder to apply some sunblock. Plus it is great to show them that even if it is cloudy, there is still enough UV around to make them change colour. Kids love to make bracelets and see how they change colors when exposed to UV lights. We like to test glasses and sunglasses with these beads to see if they really do block UV rays! The beads fit nicely on pipe cleaners. Kids LOVE them! The looks of amzement and the excitment of my younger students is beyond words. The idea of having 'cool' Science jewlery (as per my students) is a great way to get the students talking!! (notonly about their braclets and necklaces, but why they are changing colors). They are all able to explain the solar power of the beads. I have one little girl whose mother actually placed them in her hair!! What a great way to combine fun & learning!!! These uv beads are awesome! When I discuss the idea of radiation and the electromagnetic spectrum, these beads come in handy for various activities. The kids love making indicator bracelets, plus they become more aware of taking care of their skin health. I've used UV beads with all ages (K-16) and everyone loves them! We slather them with various sunscreens or use the UV filters for experiments. Students love these because it makes an 'invisible' concept visible. They also love to take them home and show them off. These are the best beads! My students love watching them go from white to different colors in the sun. I use these beads to make bracelets at the end of the school year when I talk about sun safety. I have the children make guesses about what they think will happen when we change from inside to outside. They change really fast, too! I called this Wow Beads, because that is what my students say whenever we use these. I use these when I am teaching about the energy/light waves and we discuss the UV waves. When the students get their beads and take them outside, that's when the WOW happens. The students loves seeing the beads change colors, and that opens up new discussions in Science. That is always one of my choice reactions. UV Beads brighten the day! What a great way to demonstrate WHY we should be wearing sunscreen to protect us from the invisible UV rays of the sun. We placed several beads in clear plastic baggies and then sprayed the bags with different strengths of SPF. It was a perfect demonstration of how the higher numbers block more rays. Now my room smells like sunscreen most days! 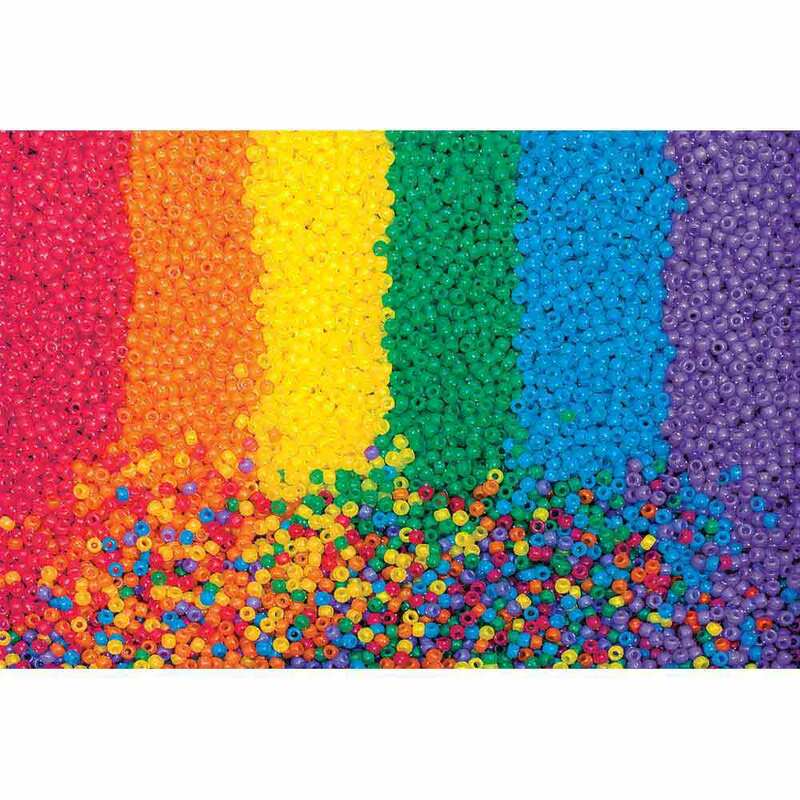 My class was amazed as the white beads turned different colors. It wasa wow factor introduction into our science unit on the sun's energy. highly recommended for all ages. many of my students still are wearing their bracelets. These beads work very well to illustrate the power of UV rays. During our unit on Solar Energy, my students put these beads on a pipe cleaner, wore them out to recess, and came back in marveling at how the UV rays really were out there even on a cloudy day! I use these beads when studying the electromanetic spectrum. I've used them for investigating different sunscreens. One year I took students to a marine science camp, and they wore their bead bracelets to remind them to apply sunscreen! I have created an inquiry based experiment where kids use these beads to test the SPF of sunscreen. They are consistent and work well in testing situations. UV Beads are an excellent way to start the school year. I used them the first week of school to review the scientific method with my students. They were each sent home with a UV bead bracelet and asked to observe any changes. Next they were posing hypotheses to what caused the change. Engaging experience for all. We made "UV Men" out of these beads and pipe cleaners. My students had to come up with a solution for how to protect their UV man from the Sun if they went to Mars. This was one part of "How You Can Die on Mars". Students always wonder why we don't just go to Mars and other planets, so this was a really fun way to show students the contrast of our lovely planet and the uninhabitable nature of Mars. Love these! Our school recently had a grade 6-8 "STEM Night". Our theme was "It's Sring, Go Green". One of our booths was the UV Beads and the suntan lotion test. Our students and families were amazed at the results! Everyone visiting the booth got to take home thier pipe cleaner UV bead bracelet also. Fun and educational!! I had a practicum in a third grade class teaching science, more specifically, UV protection. I used these UV detecting beads and the students absolutely loved them! The best was their reaction to when they first noticed the beads changing colors in the UV light. My lessons were a hit and I am incredibly thankful for finding these simple yet powerful beads. We love to get these beads and take them to our classroom, not only do the children love to make their own UV Beads Keychain but it is also an easy and fun way to teach them about the UV Rays of the sun. I love the fact that they can actually get hands on with the product and see with their own eyes that the beads change color when outside. It always has a great outcome and the kids really enjoy getting the hands on lesson! 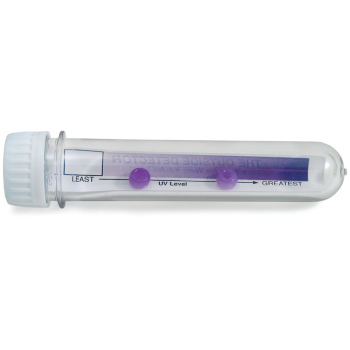 With summer approaching, the UV beads are perfect for an end-of-the-year lab. We place the beads in different baggies coated with different types of sunscreens, place them in the sun, and then view the intensities. Besides learning about the negative effects of UV radiation, it's perfect for reviewing a control, dependent, and independent variables. Kids then string the beads onto rawhide and have a great reminder to take home with them of UV radiation. The UV beads provided for an excellent extension lab to our atmosphere section of our weather unit in grade 8. These beads really offer an opportunity to have a differentiated lab based on the capability of the students. I offered many choices for the lab using the beads which varied among the students from the most protected to the least protected beads in the class. It was interesting to see what students thought would work well really did not and vice-versa. I ordered these to assist one of my students and her sci fair project to see if sunscreen really worked. I was thrilled when I pulled them out of the package in my sunfilled kitchen and they instantly began to turn white! Great product! These beads are such a great way to show the power of the sun and the presence of UV light. Even younger kids can see that the sun is changing the beads even though they cannot see the UV light itself. They are so much fun for kids - and adults get excited by them too! These ultraviolet beads continue to fascinate any age. Whether a pre-school room or a Fifth Grade room, child love them. We have fun watching the beads under sunglasses, in medicine bottles, etc. We strung these together with non-UV beads as a "prize" for our Family Science event. Kids hung them on their backpacks. It was great seeing them make observations later about when they would change color and when they would not. Recess and after school time became a time to "experiment" with these beads. Would they change color in the shade? under a coat? Is it heat? or light? What about classroom light? or LED? light. Great and intuitive product. We make bracelets the first day of class, but they don't know that they will change color in sunlight. They wear them home and come back excited and ready for a great year of science. My high school honors chemistry students love these beads! They can be used to start a variety of discussions, for example electrons, light and energy, and the health effects of uv exposure. Our granddaughter is turning 10 and asked for these beads. She had found out about them through her 4-H leader. They can learn about UV rays by putting them in the sun. They really work. When they came they were white and we took them out in the sun and they turned purple,pink and yellow. Glad I found you!!! Every year I have used these beads to amazing my students, engage them in science, and watch their reaction to these color changing beads. They are great products, durable, and science-based. Much impressed by the change in color. Highly recommended. 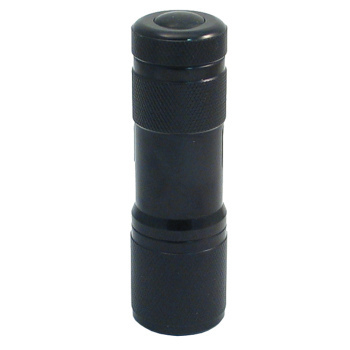 UV detecting beads is a great product to prepare kids for summer! After long winter we (not only kids, but also parents) are so happy about warm sunny days,so we can forget about the real power of the sun.This often results with sunburns. Now we have a great UV indicator bracelet, we had much fun to make it together with kids! They love their bracelets and often take a look, how magic beads are "feeling" now. So, they know the time to put on their hats and t-shirts. I suppose, we will have great sunny summer without sunburns! After being incredibly pleased and surprised with my own unexpected surprise of UV Beads at a NEEDS Conference, I went online and purchased more for my classes. These middle schoolers LOVE THEM! They will turn in missing assignments, play bingo and remain focused through a block period to earn these beads! Thank You. I use these for teaching my 1st grade students about the sun and UV rays. They work really well at showing how when we wear clothing, it helps protect us from the sun, but not all the way- the colors truly are lighter! Excellent product, and VERY well priced for how many are in a package! I have ordered these beads over a period of several years. Currently, I make small bracelets for students who read a given amount of books. I put a string of UV beads on our Name That Book book marks for students who participated in the competition. We use these beads at our science camp and they are great! The kids love them and they are durable and inexpensive. I've used these beads for several years and the kids love them. Some years we've put them on pipe cleaners and tested a variety of materials to see what will block out UV. Other years, I've told the students that they will change colors under certain conditions and ask them to design tests to determine what will make them change. The UV Beads are a staple part of the Sun-Earth relationship activities. They represent an inexpensive means for students to detect Ultraviolet Radiation in consumer science, health indicators, shielding and radiation of UV, etc... An essential hands-on student activity for electromagnetic spectrum activities! Have become one our most useful tools for teaching about the electromagnetic spectrum, solar energy, color, and more! I have used these beads for several years now. They are fun for the kids to use as an ultraviolet indicator, and the kids have noticed that they turn differing degrees of color based on the amount of sunlight they are exposed to. In cloudy or shady situations they will be paler than in full bright sunlight. They have also noticed that the color saturation changes during different parts of the day. A few beads, made into a bracelet or necklace, make a handy UV indicator to check exposure during outdoor play or activity. We do an inquiry lab where all we tell our students is that these beads have a unique property. We encourage them to go home and try to discover the unique property. The next day we discuss their approach and results. Finally we end with an experiment to verify their hypotheses. these are great for lessons on sunscreen and how it can (or sometimes cant) help protect our skin...plus the kids love them. They are also great for lessons on density as they will float in water while other beads tend to sink. I have been using the UV beads with my 7th grade science students for many years. The students always find out something new: things that block UV rays (honey was my favorite, but we decided that wasn't practical as a sunscreen!) and sources of UV radiation. The students design and conduct their own experiments, and then they share their results with their peers. This activity is one that I will continue to do. The UV beads are absolutely wonderful!!! The kids are amazed when they make their bracelets and take them out in the sun. You can also use them and show how sunscreen still gets through to some extent. These photochromic beads never fail to amaze my students (or me, for that matter). This is one of the best ways to demonstrate a reversible photochemical reaction that I have been able to find. I don't tell the students that they change colors love their expressions when we go outside. Even high school students love these!! I absolutely love this product! These are not easily found at local stores. I was surprised at how quickly they arrived in the mail when I ordered them! I used them with a 1st grade classroom. I plan to use them in upper elem. classrooms at well. All of the children LOVED them. For their assignment they used the beads to make a bracelet. Their "job" was to observe and predict what might happen to the beads over a 24 hour period. I had parents tell me their children are still wearing their bracelets daily (and it's been several months!) It's so great to hear their conversations about what time of day is the "hottest" or how the sun is hidden by the clouds, but their beads still light up (so they know they need to protect themselves with sun block) I will be buying more of these very soon! We were a little stunned to see the beads lightly changing color even inside- just from the ambient sunlight from the window! I purchased these a while back for my preschooler and his friends. They loved making jewelry and conducting science experiments. They put the beads in baggies and tested out different sunblocks slathered on the bags. I would recommend these for any age. They'd be great as a party favor or craft too. The kids love to watch them change color in sunlight. Great for testing sunscreens too! These beads are great! Our primary schools teachers use them in their classrooms to teach about energy from the sun - solar energy. The kids love them and learn valuable lessons at the same time. UV beads are awesome demonstration tools when working with the EM Spectrum! They change color quick and are great at capturing students attention - especially when you can give them some to take with them and share with their friends! We've ordered the beads for our Physics Fair for nine years now and they continue to be a hit. The kids make jewelry, hair ornaments, shoe strings while learning something along the way! Lots of fun, good illustration of a principle, and something kids can take home and show and tell their parents about what they learned. As a teacher on an american military base, I have found that the UV beads are a wonderful insentive. Students love these beads and will do so much extra to get one or two. Love the color-changing beads - they are a great way to make learning about UV rays fun! I did a summer science camp for a number of years, and these were always one of the highlights. 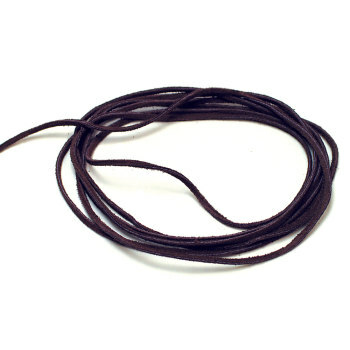 Use a piece of rawhide for stringing. You can make them go farther by adding in some regular beads for decoration. We use these beads in experiments testing sunscreen protection from UV in sunlight. They work very well and everyone likes the activity. My kids are amazed by how these beads really do change into bright colors when they take them outside. Such fun!